HIIT (High Intensity Interval Training) is a training technique where you give 110% effort for quick, intense bursts of exercise, followed by short active recovery periods. Most HIIT workouts have 20 to 30 seconds of all out training with 10 second breaks. These workouts usually last 20 to 30 minutes and will absolutely shatter you. HIIT training gets and keeps your heart rate up, burns a ton of calories and will help you get stronger and leaner faster than sustained aerobic training. High Intensity training increases the body’s need for oxygen during the effort, and so you end up with an “oxygen shortage”. EPOC (excess post-exercise oxygen consumption) is the measurably increased rate of oxygen intake following strenuous activity which is intended to erase the body’s oxygen deficit. EPOC is most commonly known as the “after-burn”. This “after-burn” translates into a metabolism boost for up to 48 hours after the routine which means you are burning calories at a more efficient rate after leaving the gym. HIIT is also quick and convenient. You don’t need a gym or heavy weights, and you can get an amazing workout in 30 minutes or less. Most HIIT workouts mainly use your body weight because the goal is to get your heart rate up and keep it there. Body weight training includes push-ups, burpees, jump lunges, or squats. HIIT Training is often called Tabata Training; however, they are actually different. HIIT stems from the idea of Tabata. However, in Dr. Tabata’s initial 1990 study with speed skaters, he used purely aerobic activity to increase the athletes heart rate. Tabata Protocol had these elite athletes going 170% of their VO2 Max for 20 seconds with a 10 second break for 6 to 8 rounds. Most of us would throw up going 90% of our VO2 Max. True Tabata Protocol is almost impossible for HIIT workouts because push ups or pulling motions are often included. Your muscular endurance will give out prior to your cardiovascular endurance. By the second round or third round, you would no longer be working at max VO2. However, that was just a side note. 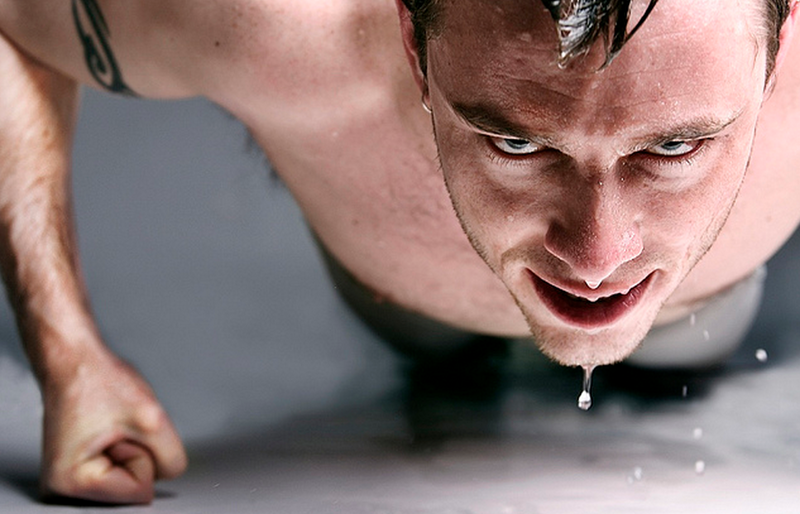 HIIT is phenomenal for you, and you will be exhausted IF you really push yourself. Try this workout next time you have a few minutes. Remember to give 110% effort. Muscular fatigue is expected. Sharp pains are not. Lateral shuffle – shuffle side ways to a distance of about 15 feet, bend down touch the ground and shuffle back. Repeat as fast as you can for the 30 seconds. Squat Jumps – bend your knees and jump as high as you can. Total workout: 16 minutes of HARD 110% workout. They are about $20.00, and you can set your own interval times and alarms. * Reminder: You know your body, I don’t. This is a phenomenal workout, but listen to your body!